Jamshedpur, Dec. 29 (The Telegraph) : After a successful run in the home turf as consultants for corporates, the B-school is pitching in for assignments abroad. 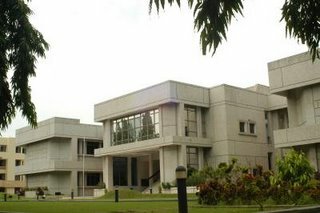 XLRI, a premier institute, is making an attempt to make optimum use of their visiting faculty members in Singapore and Dubai. “Though it is tough, we will target small and medium enterprises in Singapore and the Gulf region,” says Father Casimir Raj, director at XLRI. The institute is being proactive to sell “brand XLRI” to international corporate houses that are not very familiar with it. Recently the director of the institute made presentations to companies in Singapore showcasing their experience in consultancy. Facing competition against global consultants is an uphill task admits Father, but the institute will definitely be in the race, he adds. Currently, companies approach the B-school for consultancy in organisational re-structure, either overall or in specific areas like human resources, finance and supply chain. A team of faculty members with expertise in the area work on the project. And the fee charged is divided in the ratio of 6:4 between the faculty team and institute. Currently, the B-school earns about Rs 3 crore annually by providing consultancy. The plan to rope in foreign companies has an additional advantage, besides profit, say professors. “Once we handle such a project in a multinational company, we will have hands on experience of dealing in a multi-cultural environment, and can add these inputs to our students,” says professor A.K. Pani, chairperson of information systems area and centre for e-business at XLRI. A fun picnic at Lodi Gardens!